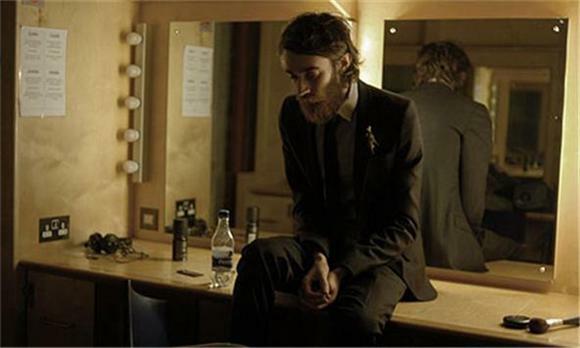 The heartbreaking subtlety of Keaton Henson was best captured in our somewhat unique interview with him. Instead of providing any written responses to our prompts, he drew a series of cartoons demonstrating how he felt. "No Word Shared" was just the beginning of our relationship with Henson, who recorded a series of short, intimate performance pieces with a friend, and we're happy to be premiering them today. The Attic Sessions feature close-ups and Henson in the corner of a dimly lit crawl space, cloaked in shadows, hovering close to the microphone for dear life (just as we've imagined him). It's a strikingly raw and personal look at a musician who'd rather stay out of the spotlight, despite the demand for his potent work. Watch him play "Party Song" and "You Don't Know How Lucky You Are" below. His debut album Dear... will be released on 2/27.